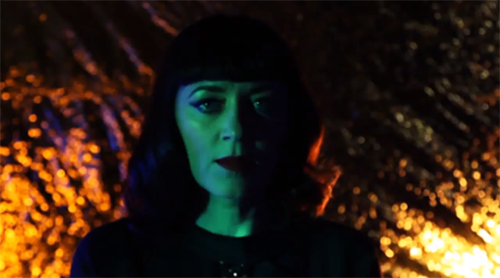 The track Hearts On Fire is the subject of the new video from Ladytron’s Helen Marnie. It’s from her album Crystal World, one of our favourite records of last year and the Ladytron album we’d been waiting for. The clip is directed by James Slater, who tempers the tracks epic scope with a simple, but effective, visual style. Marnie’s Crystal World is out now. James Slater also co-directed the 2 versions of Ladytron’s “Playgirl” videoclip.